Premises liability is the area of law that permits recovery of money damages when one is injured by an unsafe condition on another person’s property. An interesting aspect of premises liability law is the “attractive nuisance doctrine.” This principle holds that a property owner can be held liable for an injury to trespassing child if the injury was caused by a dangerous condition that was likely to attract children who could not appreciate the risk posed by the condition. If your child has been injured by such a hazardous condition, it is important that you seek immediate legal counsel, as these cases typically require significant investigation and litigation. To discuss your case with a Raleigh personal injury attorney, call Maginnis Law at 919.480.8526 or send an email using our contact page. The attractive nuisance doctrine is best explained with an example. 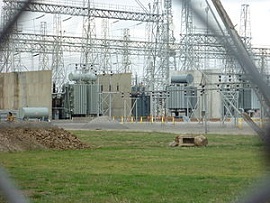 One commonly used in law school texts includes a power company that fails to install adequate fences to keep children out of its substation. Say, for example, that the power company knows that there is a hole in its fence, but it fails to repair the hole. A child then enters through the hole and is electrocuted while playing on the power company’s property. The law holds that the power company will probably be responsible for personal injury compensation to the child and his or her parents. The parents will be permitted to recover for medical expenses, while the child can recover for pain and suffering and permanent disability, among other things. One interesting twist on the attractive nuisance doctrine was addressed in the recent North Carolina appellate case Lampkin v. Housing Management Resources, Inc. There, a young child who lived with her mother at an apartment complex escaped through a hole in the complex’s fence onto an adjacent property. Even though the apartment complex knew of the hole and the dangerous pond on the adjacent property, the Court of Appeals held they were not liable for the child’s permanent brain damage caused when she fell through the ice on the frozen pond. The Court found that for the attractive nuisance doctrine to apply, the Defendant must be in control of the land or object that causes injury. The Plaintiff was not injured on the Defendant apartment complex’s land and, consequently, the complex was not held liable. Maginnis Law offers free consultations to all potential personal injury clients, including persons injured as a result of dangerous land conditions. We regularly represent individuals in Wake, Durham, Orange, Alamance, Johnston, and Chatham counties. All personal injury matters are handled on a contingency basis, which means that you do not pay attorneys’ fees. If you or your child has been injured as a result of a dangerous condition on someone else’s property, contact the Raleigh premises liability lawyers of Maginnis Law at 919.480.8526. Our attorneys do not employ large staffs of administrative personnel, so they will be able to work closely with you to understand every aspect of your claim. You can send a confidential email inquiry with the details of your case using our contact page. Cases can be handled for injuries sustained in Raleigh, Durham, Cary, Chapel Hill, Apex, Wake Forest, and the surrounding eastern North Carolina area.